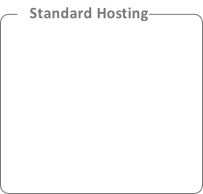 All hosting accounts come with 10 POP3 email accounts as standard (Platinum has 15). If you need to have more email accounts (for example if you have several employees who each need a dedicated address) we can upgrade your account to allow for this. 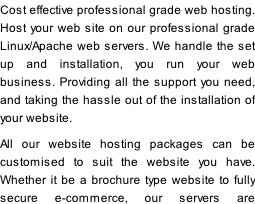 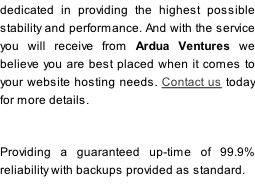 All hosting packages are for a single site only (though unlimited domain aliases are available - for example yoursite.co.uk and yoursite.com can both be pointed to the same website).